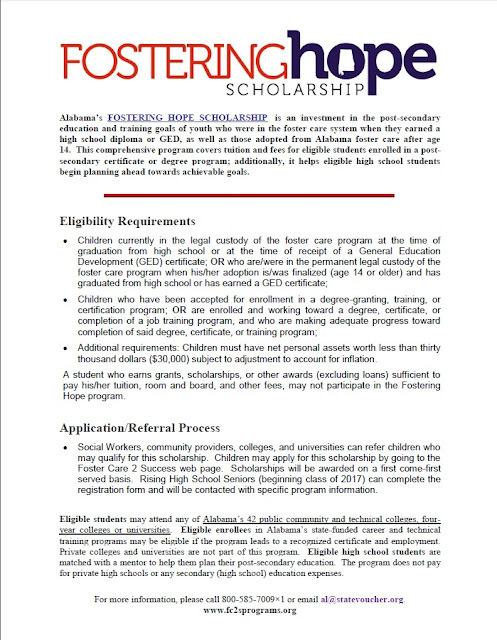 Alabama’s FOSTERING HOPE SCHOLARSHIP is an investment in the post-secondary education and training goals of youth who were in the foster care system when they earned a high school diploma or GED, as well as those adopted from Alabama foster care after age 14. This comprehensive program covers tuition and fees for eligible students enrolled in a post-secondary certificate or degree program; additionally, it helps eligible high school students begin planning ahead towards achievable goals. 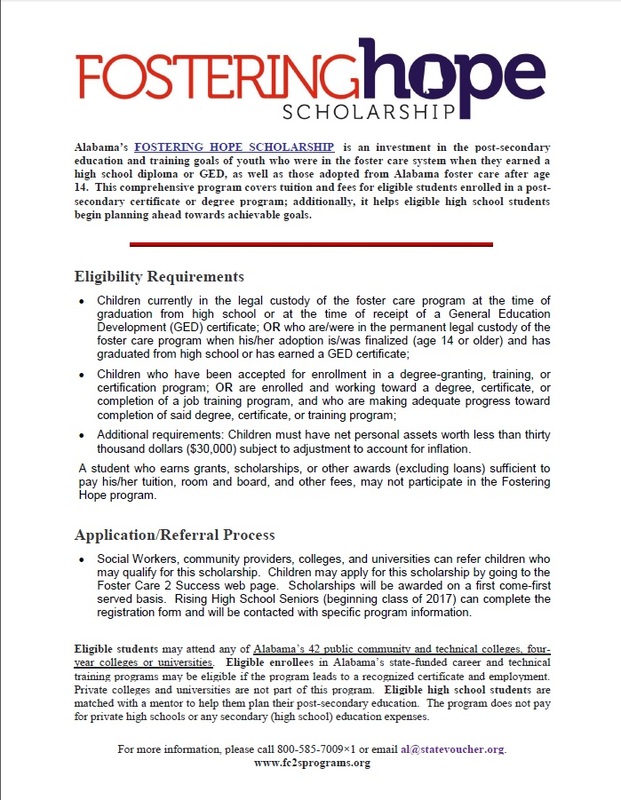 For more information visit http://www.fc2sprograms.org/alabama-fostering-hope-scholarship/.